We are certified in Clio and familiar with Time Matters, and make sure your time, expenses and billing are recorded most efficiently. Tracking retainers and IOLTA accounts are additional functions so important to your practice, which we take very seriously. Other services include accounts payable, accounts receivable, bank and credit card reconciliation and payroll. That means you enjoy a streamlined data collection process that frees up your mental energy. You can focus solely on the legal matters of your clients while we take care of all the behind the scenes work. 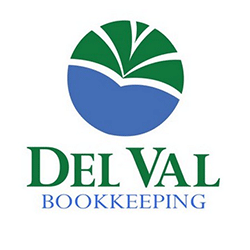 With Del Val Bookkeeping, you are “Always in balance!” Please visit our website, www.delvalbookkeeping.com, or email us at jperry@delvalbookkeeping.com for more information. NYC Bar members are eligible to receive QuickBooks Online for free. At FMK Co. we handle your bookkeeping needs remotely or can make on site visits as needed. Ideal customers are small to medium companies looking to cut costs by reducing a full time salary, saving on payroll taxes and not having to pay benefits. FMK Co. specializes in law firm bookkeeping helping attorneys properly maintain their escrow accounts and complying with the related ethics regulations. Bookkeeping services include bank reconciliations, accounts payable, accounts receivable and routine reporting keeping you up to date on each client’s funds and your business operations. Frequent escrow monitoring is available to ensure checks are cashed properly and outstanding matters are dealt with promptly. Call Moshe at 201-227-4619 or email at NYCBA@FMKCo.net to learn more about how we can help you and be sure to ask about the 25% discount off our standard rates for NYC Bar members.